There was delight all round in the 1. FSV Mainz 05 camp after the team climbed to fifth following Sunday's 3-1 victory over Bayer 04 Leverkusen, who admitted the better side had won on the day. 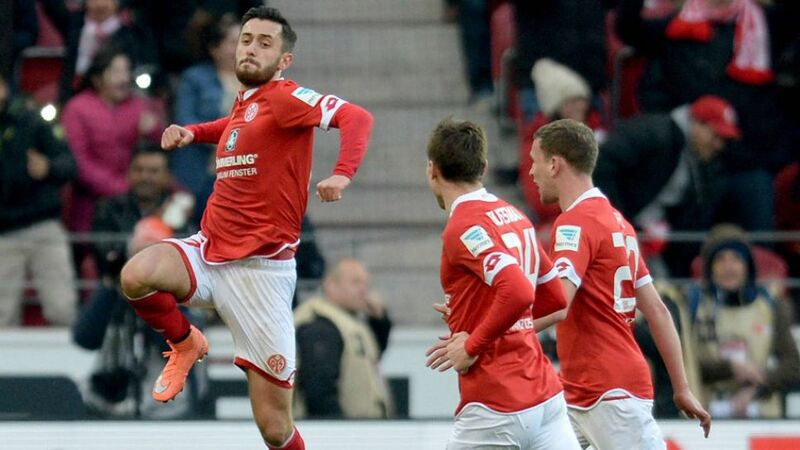 Yunus Malli (Mainz attacker): "I've missed scoring goals. On a personal level it was great to score twice and help the team out. A 3-1 win over Leverkusen is really something we can be proud of." Jhon Cordoba (Mainz striker): "I feel great, I'm happy to have scored and that we won. Our last game [against Hoffenheim] left a sour taste in the mouth because we lost but now we've won three important points and we hope to continue like this. We're a very tight-knit group and that makes us very strong during our matches." Julian Baumgartlinger (Mainz midfielder): "We're really happy with this win. We played against a very good team today and you always have to be cautious. You have to make the most of your chances – that’s what we did in the first half. We secured the win in the second half, so we can be very happy with the game." Martin Schmidt (Mainz coach): "You always imagine certain things before a game, which makes it all the nicer when they actually happen they way you want them to. We've got 36 points now and are absolutely delighted with that." Christoph Kramer (Leverkusen midfielder): "If we're not in the right zone to play our game then we can't find solutions out on the pitch. We didn't all give 100 per cent today which is why we deserved to lose 3-1. It’s very tight [in the race for the European places]. It would've been important if we could've moved up but Mainz got the points." Roberto Hilbert (Leverkusen defender): "If you concede three goals away from home the other team must have been better. We need to digest this defeat, analyse it, put it behind us and then get ready to go again on Wednesday. It's a fact that both Mainz and Hertha Berlin are ahead of us in the table and we need to change that as soon as possible."